Get the money you need to stay afloat during a personal injury or similar lawsuit in Boise and the surrounding suburbs with a pre-settlement cash advance. These lawsuit loans are available to plaintiffs across Idaho, and it takes just 30 seconds to apply. If you’ve been injured in a car crash or other accident, chances are good you’re not sure how to pay all your bills while you face a lengthy, drawn-out lawsuit. Personal injury, assault, negligence, medical malpractice, and other types of lawsuits tend to be very complicated cases that can get held up in court for months on end. In addition, after you’ve been injured, you may be unable to work, and probably facing expensive medical and surgery bills while you wait for a settlement in your case. A pre-settlement cash advance can provide you with the money you need to get by while your attorney works on your case. 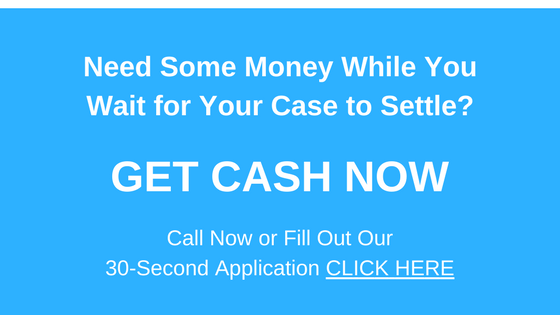 These fast cash lawsuit loans can provide you with up to $5,000 in as little as 24 hours, and you can use that money to pay rent, mortgage, medical bills, and other expenses. You can even use it to buy groceries, other necessities, or even to get a little break from the stress of your lawsuit with a getaway. If you live in the Boise area and need help making ends meet while your case is in litigation, it’s time to contact Interstate Lawsuit Funding. We are a direct lender with a staff of loan professionals who understand Idaho laws and can get you an immediate decision on your lawsuit cash advance, whether you’re in the beginning, middle, or ending stages of the litigation process. Even better, these lawsuit loans are risk-free, non-recourse loans, which means you only have to worry about paying back the money if you win your case or it settles. In that case, the repayment will come from the proceeds of the settlement, which means you never pay anything out of pocket. If your lose your case or it fails to settle, the money is yours to keep. Interstate Lawsuit Funding does not require a credit check or any collateral; your qualification for a lawsuit loan is based simply on the merits of your case. When you contact us, we will review your case and speak with your attorney, and determine a suitable amount for your loan. If you are a resident of Boise or surrounding areas of Ada County, Interstate Lawsuit Funding offers loans for cases including animal attack, assault, burn injury, discrimination, harassment, medical malpractice, motorcycle accident, negligence, slip and fall, wrongful death, and more. Contact us at 954-946-0487, or fill out our easy, 30-second application online to find out If you qualify today.